The North Carolina Conference for Social Service was formed in 1912, when a body of socially conscious men and women recognized that little attention was being paid to many disadvantaged North Carolinians. At that time, not a single county welfare department existed in the state, nor was there a probation plan for boys and girls or separate prison facilities for youthful offenders. The state did not offer aid to destitute widowed mothers or reparation for injured workers, and there were no effective child labor or minimum wage laws. Only the barest provisions existed for public assistance to the needy, aged, and blind. The first conferences considered areas of greatest concern, which included illiteracy and compulsory school attendance, the need for reformatories and orphanages, procedures for dealing with youthful offenders, improvements to rural life, child labor laws, care of the mentally ill, and associated charities. In 1916 the conference drafted a bill to create county welfare offices, and the next year the General Assembly approved it-establishing the first system of its kind in the nation. Prisons, juvenile court reform, and protection for adopted children were among other issues soon addressed by the Assembly. For many years the Conference for Social Service met in the spring to identify a topic for the year. Committees, forums, seminars, and publications were employed to bring subjects to public attention; resolutions, lobbying, and pronouncement of findings then followed. By fall the members had refined the subject, and it was subsequently presented to the General Assembly for action. Ellen Winston led the conference for many years and personally provided much of its financial support. Her death in 1984 brought a decline in the conference's resources. After a final meeting in September 1997, its remaining limited funds were used to establish a scholarship in the name of Winston and of Friends of Residents in Long Term Care, a group that had grown out of one of the conference committees. Grier, Virginia H. 1962. North Carolina Conference for Social Service, 1912-1962. Raleigh, N.C.: The Conference. 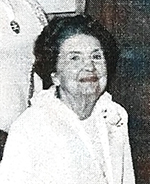 Gulledge, Virginia Frances Wooten. 1942. The North Carolina conference for social service; a study of its development and methods. [Chapel Hill]: The North Carolina conference for social service. North Carolina Conference for Social Service. 1946-?. North Carolina Conference for Social Service (journal). "North Carolina Conference for Social Service." North Carolina Education 7. No. 7. March 1913. p.6. http://digital.ncdcr.gov/u?/p249901coll37,14024 (accessed November 15, 2012). "Bryan Addresses Conference for Social Service." North Carolina Education 9. No. 7. March 1915. p.22. http://digital.ncdcr.gov/u?/p249901coll37,14004 (accessed November 15, 2012). 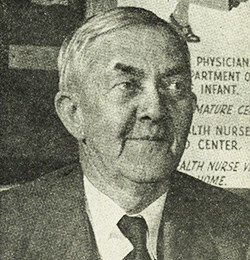 "George Marion Cooper, M.D. 1876-1950." The Health Bulletin [N.C.] 66. No.1. January 1951. cover. http://digital.ncdcr.gov/u?/p249901coll22,285746 (accessed November 15, 2012). 1 January 2006 | Finlator, W. W.